Celebrating Women Series: Erin Sweet Al-Mehairi on the Life of Emily Dickinson | Oh, for the HOOK of a BOOK! Welcome to the 13th article in the “Celebrating Women” Series for Women’s History Month! It’s the first time I’ve coordinated an author guest article series to celebrate women in history or women making history! Now, it’s my own turn to post an article, lucky 13? If you’d like to continue on with the tour, which runs March 19-31, 2014, follow along each day on the main blog or head to this blog page, Women in History, which will be updated daily with the scheduled link. 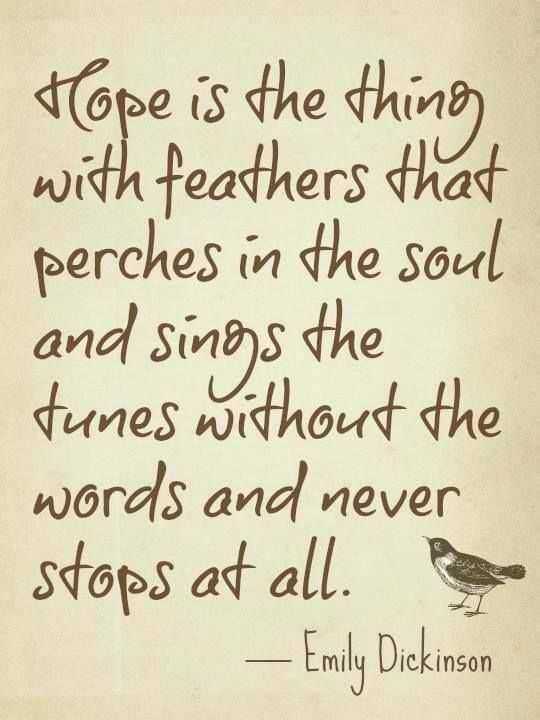 If you are a writer or author yourself you can most likely relate to the poet Emily Dickinson in regards to her pursuit of scribbling her words at random as her brain and emotions produced them, whether that be onto napkins, pieces of small paper, or her journals. Though she did spend longer lengths of time in her bedroom and at her desk, she was often found doing things like skimming the milk (remember it’s the mid-1800s) in the kitchen while her other hand was feverishly writing. However, in later times, she often collected her works in handmade journals, which are called fascicles. In fact, they came to house more than 800 of her poems, though her final total of works is somewhere around 1800. Let’s take a step back and look at how Emily’s life began so we can understand how it ended up, and ultimately, why her poetry resonates as some of the best loved and most read works of all time. Born in 1830 in Amherst, Massachusetts, Emily Dickinson had a childhood in her middle years that included baking, music, gardening, reading, writing letters, and other creative pursuits. She had a stellar education, her paternal grandfather—Samuel Dickinson– having founded Amherst College in 1821 (then it was Amherst Academy) with a group of town leaders who served as the first trustees (one of note personally to me is one of my ancestors, Noah Webster). Her father worked there as well and was also a state legislator. Growing up in this intellectual family with plenty of social engagements, Emily had a good upbringing. She was educated at Amherst for many years as well as the Mount Holyoke Female Seminary (now Mount Holyoke College), where she spent a year. For a woman of the nineteenth century, this would not be a normal opportunity to have so much education, but in Amherst it was accepted and she loved her teachers and was loved by teachers, as well as admired by classmates and friends, mainly for her compositions. She enjoyed the freedom that the school allowed her in her creativity, though she was always probably lost in the clouds. Surprising to some who refer to Emily only as a lonely woman, she was in fact at this age very social and had a lot of friends. Unlike most other educational institutions, Amherst had a wide and broad program in classics and literature, open for both men and women. Their structure, though adhering to religion and piety, also gave students more room for creative thinking. With Emily being somewhat of a dreamer, I have concluded myself that she probably thrived in this environment. Not only was she able to write well, but she had a penchant for biology and Amherst would quite often feed her craving for learning with guest speakers and lectures. In fact, the famous geologist Edward Hitchcock became administrator of the academy at the time Emily attended and this afforded her the ability to learn all she wanted in regards to science. As readers of her works today, we can view her vocabulary choices and some of her themes and regard them with the fact that she gleaned a good portion from her interest in science and the utilization of it being offered in such a high degree. Over the years her botany hobby (in her middle years, after she had returned home, her father even built her an indoor conservatory of which her bedroom window overlooked) led to her growing beautiful flowers and plants that were a great source of inspiration for her well-being and for her poetry. Intermixed within these years however, Emily dealt with the loss of many friends and relatives and this prompted her already curious mind to begin asking questions in regards to life and death. Living in a Calvinist community, everyone around her was concerned for the soul and its transition. Though her family joined the Church, Emily did not. I conclude that she probably had too many questions, as her personality revealed she often had a mind of her own that was led by no one, and her lingering issues with death and dying only heightened from her teenage years into her adult years. In various writings and letters, it becomes obvious in her thinking that she wonders how and why she is different from most people. I tend to think she didn’t fit into any mold or crowd and enjoyed the beauty of nature. This leads me to further to believe she was a very emotional woman who did not take the hurt of losing anyone close to her lightly. She expressed herself best through her letters and her poetry and unveiled her innermost thoughts and emotions. Between 1858 and 1865, Emily wrote hundreds of her works we identify with as readers today. The major timeline occurrence during this time in history of course was the Civil War. But not only was the country going through turmoil, Emily’s life also went under vast changes as well. She lived with her parents (with her brother, sister-in-law, and their three children nearby) and this is when she had her conservatory and penned those 800 poems into the handmade books I wrote about earlier in the article. At 35, she had amassed over 1100 works that were like music to the lips that spoke of grief, love, loss, and nature. Still, almost all remained known only to her as just her personal observations and feelings put to paper. She had strong friendships with men and women, some she wrote frequent letters to over the course of this time. She began to be the household caregiver, being a nursemaid to her ailing mother and therefore, becoming increasingly confined to the home. The letters served as her connection to friends and family, and possible suitors. Amazingly enough, less and less becomes known of her relationships even as she writes more and more during this time period. In putting her emotions onto the page in the form of poetry, instead of journal entries, scholars are only able to offer guess work into her connections with those around her, namely suitors. However, some of her poetry heightens as if she is romantically in angst. With her emotions on the rise, her grief over losing more key family members in her life, and her continued reclusive situation, it seems she may have suffered from some anxiety or depression. However, as with many the life of a creative person, she was the most efficient at producing poetry at this time. Eventually, Emily was diagnosed with an eye condition and had several extensive treatments out of town. 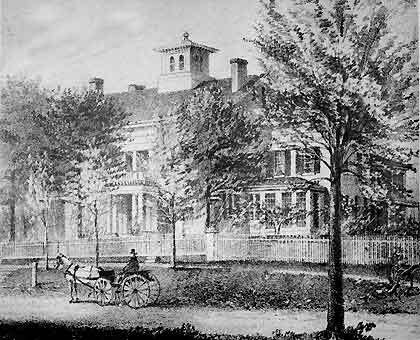 Upon returning home for the last time to Amherst in 1865, she rarely is known to have left her home though she did see visitors (some suitors, possible love affairs through letters, and proposals were in her midst), and keep up her connections mainly through writing. Often times she sent poems and letters to friends with dried flowers enclosed. Many of her close friends tried unsuccessfully to obtain from her permission to publish or publicly read her poems under her own name. The why is not known, though in my own reasoning she did seem to be private and probably publishing such writings would be like bearing her soul to the public. She begins to stop writing in the journals and writes haphazardly in notes and whenever a whim arrived. The Homestead. From lithograph by J.B. Bachelder (1825-94), 1858. Courtesy of the Jones Library, Amherst, Massachusetts. Finally, in the last days of her own life she saw dire illness and death of many of the closest people to her, including her mother, father, prospective suitor, her nephew, and a good friend. This was probably too much for Emily’s kind heart to endure. 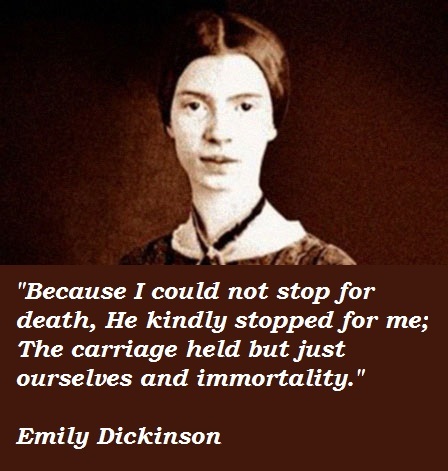 She died in 1886 of kidney disease shortly after this string of heartache of which she admitted had tired her soul. Her first volume of poems was published in 1890, after her sister found all her booklets and published additional volumes as well. Surprisingly enough, a full compilation of her works was not even published until 1955, but she would become one of the most famous literary figures of the 20th Century. As I write my novel, a suspense novel that includes the ghost of Emily Dickinson, I am utilizing the parts of her angst-ridden heart, her emotional turmoil, and her supposed romantic relationships that are seemingly vague. It seemed her heart was full of a caring and giving nature, and yet possibly the men she had relationships with at arm’s length never quite lived up to her expectations. As my protagonist in my novel is dealing with being in an abusive relationship in modern times, and trying to hold down a job at the Emily Dickinson Museum in Amherst, Massachusetts, Emily appears to her. I play on the vagueness of Emily’s own male relationships and her broken and tired heart, not to mention her reasons for reclusive behavior, and have her assist my protagonist on her own journey of independence, rebellion against abuse, and ultimately revenge. Love, loss, the search for the meaning of life and death, and living as an intuitive are all explored within my novel. 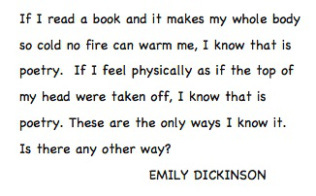 I hope that, through my fiction work, others feel a kinship with Emily and understand that her reclusive behavior probably really stemmed from having a warm and gentle heart coupled with extreme intelligence and independence. 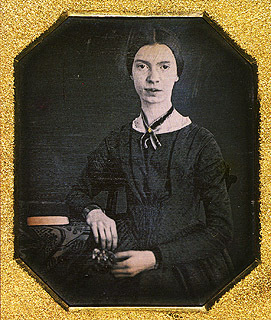 First photo–The only confirmed photograph of Emily Dickinson circa 1847, from a daguerreotype. Erin Sweet Al-Mehairi has a Bachelor of Arts degree in both English and Journalism as well as in History. 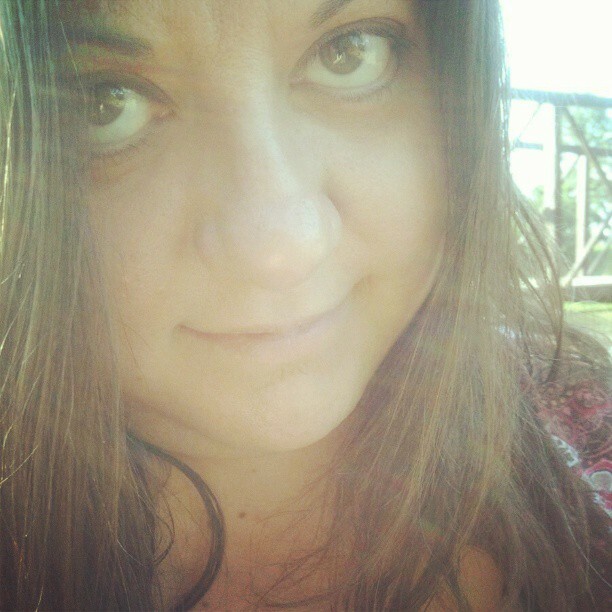 She has been writing essays, stories, and poetry since she was a teen and has always been an avid reader of many genres. She has edited poetry anthologies, novels, and other various writing and journalistic pieces, and has won awards for her essays and poetry. As a journalist, she’s written for various newspapers, magazines, and online news sources. Erin owns Addison’s Compass Public Relations, with a subsidiary of Hook of a Book Media. She has over 18 years of writing, communications, public relations, marketing, editing, fund-raising, event planning, blogging, social media, and copywriting experience and offers services in all of the above mentioned areas. She has given thousands of hours of community service time and served on many boards for various organizations for human and health rights and services and domestic violence awareness, as well as women’s organizations. She was the 2008 Business and Professional Women of Ohio’s Young Careerist representative to the National Convention, the winner of the 2009 Women of Achievement Award in her community, and had an appointment to the Ohio Governor’s Office for Women’s Initiatives, for which she sat on the sub-committee for health. Erin is in the process of writing a children’s fantasy book for middle readers, a novel of paranormal suspense featuring Emily Dickinson, a historical novel based on Dutch traders from the 1600s, a fantasy/horror book of a Viking version of the Loch Ness Monster, and many other short stories, including a short story anthology based on the works of Van Gogh. Yep, one day she’ll accomplish all the stories in her head! Erin is also the owner, operator and writer for this blog, Oh for the Hook of a Book and has brought the Celebrating Women Series to you for Women’s History Month. You can see more on the “About Erin Al-Mehairi” page on this site. She is delighted to be the mother of three children, Nassem Al-Mehairi, Emma Al-Mehairi, and Addison Busbey, and lives in Ohio, where she reads, writes, cooks, bakes, and probably has a million other things going on at once. You can e-mail her at hookofabook (at) hotmail (dot) com.